iFLY in King of Prussia aims to replicate the experience of skydiving. 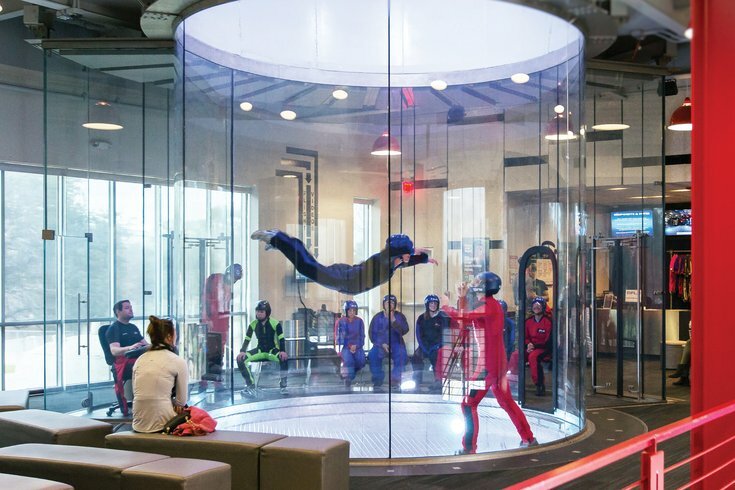 In spring of 2016, an indoor skydiving facility opened in King of Prussia, PA. This spring, New Jersey is getting one. iFLY Indoor Skydiving will open in Paramus. The new facility is already taking online reservations for as early as Friday, April 13.
iFLY uses vertical wind tunnels to replicate the feeling of free-falling. The whole family can get in on the action. Those age 3 and older are able to fly. To prepare for flight, customers complete a training class guided by one of iFLY’s flight and safety instructors. After training is complete, they dress in flight gear, which includes goggles, helmet and flight suit, and then – with their instructor at their side – enter the flight chamber. Flight packages begin at $89.95 for first-time flyers.